This chore chart for kids is cute, easy to use, and will help your kids remember to do their chores! It’s important that kids learn responsibility by doing chores. 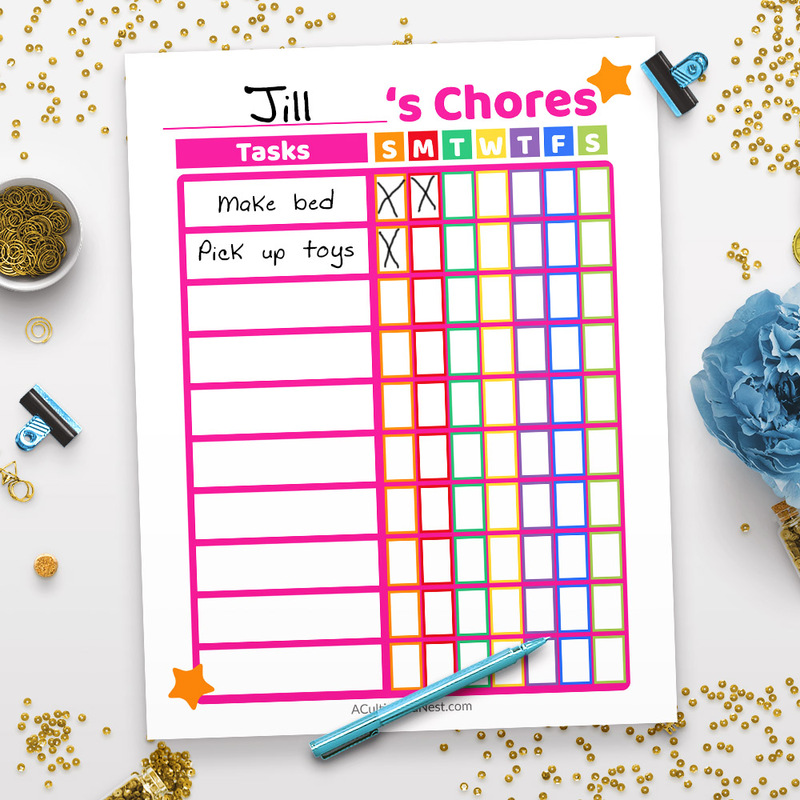 Plus, learning to do chores while young makes it so much easier to keep a house neat when you’re older! 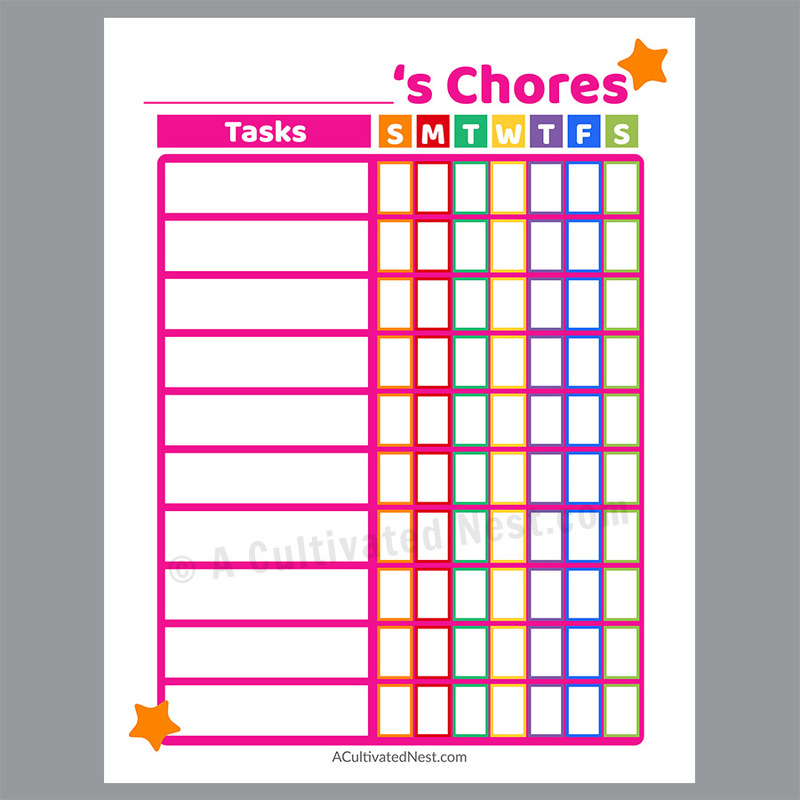 To help remind your kids of their daily chores, you need a Printable Kids Chore Chart. And that chore chart needs to have a cute, kid-friendly theme, which this one does! With this printable you can record what your kids need to do each day, and they can check off when they’ve completed each task. 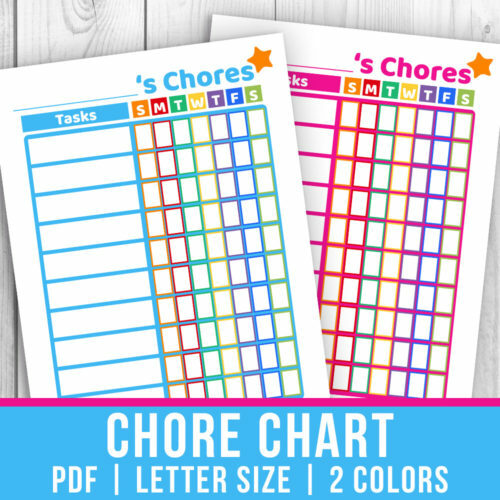 This handy kids chore chart printable comes in both blue and pink color themes. 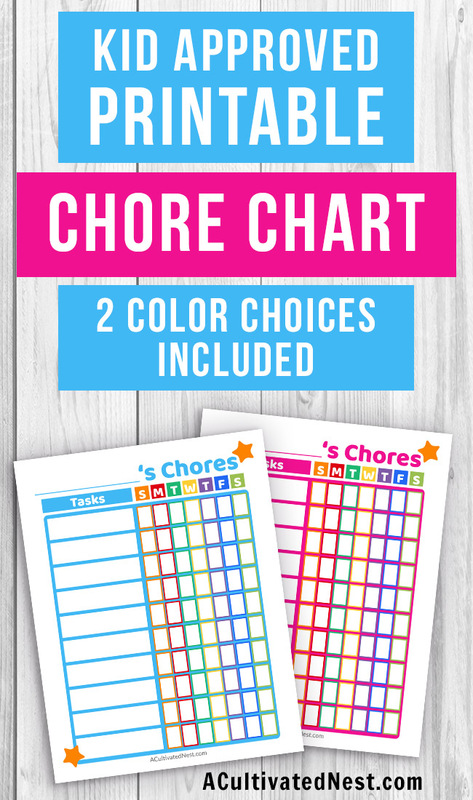 I tried a lot of freebie chore charts with my kids before deciding to design my own. The free always either had a layout I didn’t like or a color scheme my kids didn’t like. I’ve solved both of those problems with my printable chore chart for kids, and my kids like it too! You could say that it’s kid-approved! 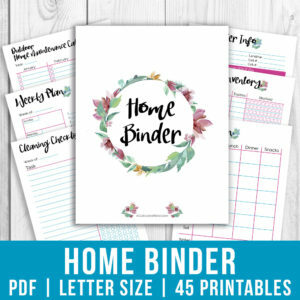 This is NOT an editable printable. This is made to be printed, then written on with pen or pencil. 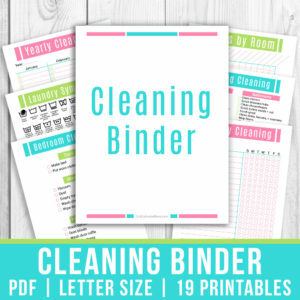 Awesome printable! I like how colorful these are.